The Allied Paper era was from 1921 to 1988. All the Allied Paper mills in Kalamazoo have now been demolished. 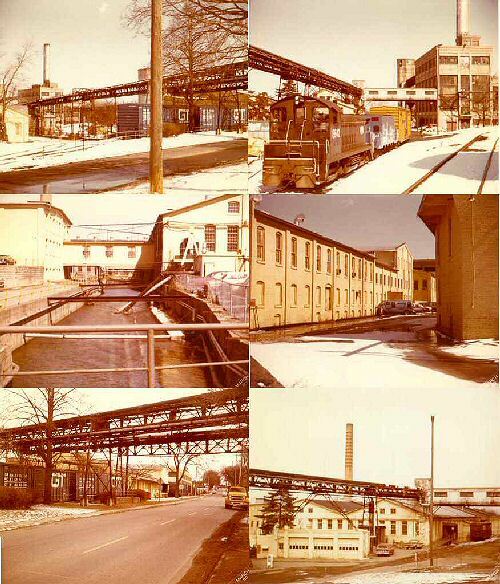 I worked at the Bryant Mill in 1980 and took some photos so my parents in England could see where I worked. I shared the photos on the web. One thing led to another and now alliedpaper.net contains a lot of Allied Paper history and photos. NEW - Bryant Mill in the book "Corporate Wasteland"
Copyright on all materials at www.alliedpaper.net © 2010 Jeremy Winkworth unless otherwise stated. This site is historical research only and not for profit. It is not owned by nor has any legal connection to Allied Paper Corporation or any of its successor corporations.